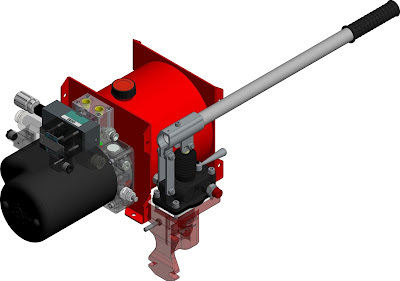 Bezares invests continuously in the development of solutions for specific applications,such as our new mini hydraulic powerpack, specially designed for lifting platforms in vehicles adapted for people with special mobility needs. As an added value this mini powerpack has an emergency system in case of power failure. It can be used manually driven by a double effect 12cc in line hand pump, ensuring the system reliability and people's mobility. For more information and prices, please contact with our sales department.